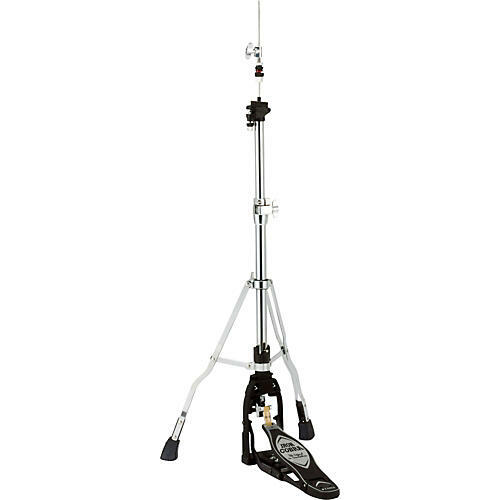 The Tama Iron Cobra hi-hat was designed to be the perfect counterpart to Iron Cobra bass pedals. Iron Cobra hi-hats offer incomparable sensitivity, lightning fast action, player friendly adjustments, and an absolutely noiseless design. The idea of replacing the traditional pull mechanism with a lever design was a genuinely revolutionary concept. Our Iron Cobra version uses roller bearings at the lever fulcrum for even smoother footboard action while a super-strong Kevlar strap connects the footboard and pull rod for even, noise-free action.